Excellent entry level lathe that has enough versatility and power to give many years of turning. 8-speed range – features a low speed of 215 rpm essential for serious and safe large piece and bowl turning work. Steel and cast iron stand included as standard equipment. Full swivel head functionality and solid cast iron components complete the package. Available in the 11/4″8TPI thread. Includes 1.5HP AC motor, belt, stand, 2MT live center, 2MT spur/drive center, 3″ faceplate, 12′ toolrest, manual and fastenings. Note: This unit replaces the older NOVA 1624 Lathe. All old accessories and parts are interchangeable. Fantastic 8-speed range from 215 – 3600 RPM (USA/Canada) & 178-3000 RPM (rest of world) low speed perfect for bowl turning. Quality materials – Solid Cast Iron throughout for rock solid performance. Stationary lathe capabilities in a compact workspace. Incredible power in a compact working space, great for those who need all the workshop space they can get! The 360° swivel head and articulated Outrigger Accessory means that even when turning large bowls (29”) you are still turning in the same compact area. Fully 360° Swivel head – position work where you want it, makes your turning more comfortable and saves you workshop space. Long reach toolslides, designed to take advantage for the extra capacity the NOVA lathes offer. These feature easy-grip rubber handles. True Swivel head – easy on the back and allows Turner to operate in a compact working area – great for those who need extra workshop space. 50% more power available than others in the same segment with a massive 1.5HP motor. Reversible motor – Great for finishing and left-handed turners. Adjustable vibration dampening stand – Feet individually adjustable to suit floor level, included with the lathe. Between centers: Standard 600mm/24″. Extendable to as long as you want in 510mm/20″ increments, using optional bed extension accessory. turners) degrees. High accuracy and easy swivel. emergency stop button on the motor. This button is for emergencies only. The machine will coast to a stop if this button is pushed in. Important: Once this Emergency stop button is pushed, you must release into the “OUT” position before you can use the lathe again. You must twist to release it into the OUT position before you can turn on the lathe. • Use the regular STOP button if you want the lathe to come to a stop. • To turn the machine on and off, use the on/off switch on the motor. I purchased my Nova 1624 II lathe in October 2018. I wanted to wait until I had the lathe set up, running and turned a few projects prior to doing any review. I am reasonably new to woodturning. Having tried it in high school many years ago and not picking up again until I had time and money. I wanted a “starter” lathe but something that would be adequate for most projects without breaking the bank. After doing my research I landed on the TeknaTool Nova 1624 II. My only hesitation was the manual belt changing. But the DVR upgrade was available if I wanted to upgrade later. With the price of the lathe and DVR upgrade the cost would still be competitive. I purchase the lathe. I was able to do the set up by myself, though I would recommend seeking assistance for a few of the steps, in just a short amount of time with no problems. I turned on the lathe and turned a practice spindle piece. The only disappointment was the roughness of the cast iron tool rest that came with the lathe. The rough surface caused bumps and hesitations with the tools as I was turning. Wanting to turn a project I went out and purchased a Tekntool Modular Tool Post and Rests after noting the smooth machined steel tool surface. Went home to complete the project only to discover that the Tool Post was too large for the lathe banjo hole. I was able to complete my project after filing the old tool rest smooth. Now I had to put the Customer Service department to the test. All of the reviews that I read had favorable comments about the Service. First I called but only got a answering machine since it was after hours. I sent an Email but it was the weekend. I did get an email back acknowledging my request. I was getting frustrated. I traded a couple of additional emails with the service department. I was not sure what was to happen when I got another email indicating that the request was closed. But the next day in the mail was a new Tool Post. I immediately went to my lathe and tried the new post. It was a perfect fit. I am truly impressed with the responsiveness of the service department. They followed through and resolved the issue. The review of the lathe. In all other respects the lathe was perfect right out of the box. The set up went well and easy enough. The motor is powerful enough that I am able to do all the things that I have attempted so far. The motor is quiet, smooth with no vibration. The stand is sturdy enough and I have had no issues with movement. The tailstock and banjo ride smooth on the ways and lock in position with no movement or slippage. Changing of the belt position on the pulleys is easy and not a problem. But knowing my habits I know that I will be upgrading in a few months as I get increasing my skills and knowledge. Overall, I would highly recommend the purchase of the Teknatool Nova 1624 II lathe for anyone. It meets all of my current needs and I look forward to years of enjoyment turning wood on this fine machine. I have found the service department to be responsive and have been made a believer. I have no hesitation in giving both the machine and the service department 5 stars. 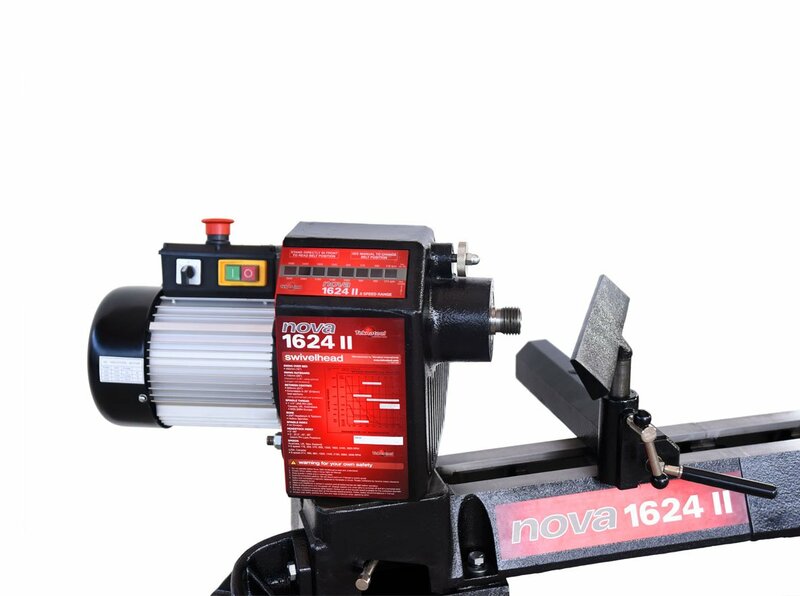 I bought the newest Nova lathe 16-24 and love the black on red look. This is an awesome lathe. I have neck trouble, bad neck trouble so I wanted a lath that would allow the headstock to turn for me to do bowls without bending over leaning over the ways. Great Great idea and with the adjustment tool you can put it back dead on for regular turning again. I can upgrade later to the variable drive motor. Still a great deal.. besides it is not hard to change the belt on the pulleys. Very easy access. I have called Nova about chuck problems and a nova live center that a piece broke from. They responded immediately, and sent a replacement. Only took a couple of days! That is great service. thanks Nova. This lathe is fantastic for starters and pros alike. It’s affordable enough (got mine from Acmetools for around $1000 with free freight shipping), so people on a budget or just exploring turning can afford to get it. The reason it’s affordable is mostly because of the analog system with the motor. If you want to price your lathe at a lower amount, you’ve got to simplify the features. So if you must have the DVR motor, you might as well save up the extra thousand and buy the next level up. People don’t purchase this lathe expecting massive bells and whistles at a $1000 price point. That’s why other reviewers [ed: are incorrect] for suggesting it’s a travesty about the motor upgrade. It’s NOT! It’s AMAZING that they built the 1624 II with such a capability to be upgraded in so many ways. I can start out with the belt-version, then if I really decide I’m loving it, I can sell that motor and go for the DVR upgrade. No one is forcing you to buy 2 motors like that idiot is implying, ignore his review. The same goes for Bill Splaine, who needs to be e’splained that you are knowingly buying the 1624 II with a belt-speed-changing motor. It is the standard 1624 II package, there are no spare motors. If you were looking to buy a lathe with a DVR motor, then you’re already looking at a higher price point, so just spend a few extra hundred on the standard DVR Nova Lathe. If you aren’t brainless, then you know what to expect in the 1,000 price point, and you’d rate the lathe for how it performs and it’s equipped features. When has anyone ever rated something poorly because the manufacturers made it upgrade-capable. If I sold you a car, with a standard 4 cylinder motor, at a lower price point, but then told you it can be upgraded to a 6 cylinder motor, would you rate it 3 stars because it didn’t already come with the upgrade? Would you rate it 3 stars because you bought two motors automatically and have too-few brain cells to know how to sell one? Would you rate it lower because you don’t know how upgrades work? Hopefully you understand that, because some other fools don’t suffer common sense in the power tools world. Sturdiness: It’s not very heavy, so I had to design and build a wood frame/shelf to hang from it that I could load with cement blocks to add weight. I also bolted the feet to the cement floor. After adding the outrigger and extension bed, I was able to get it’s weight over 700 lbs. Really this is necessary to do, because anyone who turns knows a lightweight lathe vs. a heavy rough turning will be an ugly sight. I kind of wished at first they’d included the cast iron legs that have the shelf inlets built in, but then after a bit of measuring and whatnot I realized how easy it was to build a wood shelf to load blocks onto. Plus the ‘self-leveling’ feet do a great job with reducing creep and vibration if you aren’t bolted to the floor. For the price ($999), the legs aren’t that bad and the weight is substantial enough. Motor: 1.5 HP is plenty, and I’ve only really strained it with very large pieces. However, as long as you can keep your chisels really sharp (which you always should) then you won’t be really causing any heavy strain to the motor or belt. I like the switch setup, but I haven’t tested reverse yet. The on/off works great, and the safety setup is engineered well. I hope the plastic parts don’t wear out, but they look solid enough for at least 20 years of constant use. May have to change a belt every few years, but whatever that’s fine. The speed options are evenly spaced, I do wish that the minimum speed was a little slower, but it’s got fine speed options at it’s price point. The DVR motor upgrade is a fantastic idea, and I think I’ll buy it in a year or so, since I’ve been making money off of Etsy turning projects. I could really go for dialed-in speeds rather than changing the belt, even though I’m fast about changing belt speeds, really it’s that I don’t like touching the dusty belt when I’m wearing gloves to apply finish. One trick I’ve learned also, for lower speeds, is to get a BBQ basting motor, and hook it up to the spindle, so that you can turn the spindle head at 2-4 RPM, for finishing with epoxy resin where the cure time is long. I’d use this with finishing large bowls, shift knobs, sinks, or anything with a heavy liquid finish that cures slowly. Features: The upgrades are cheap, and awesome, do the math, it’d be very expensive to get the same features on the sister brands. I’ve got the extension bed out to 44 inches, so I can do canes, larger lamps, bats, etc. I’ve got the outrigger so I can do larger bowls, table tops, snare drums, etc. The black paint looks great, and the quality control on the one I bought was good. The little window where you view the belt speeds gets dusted over easily, but a simple wipe reveals where you are. They could’ve made that feature a little better. The assembly was easy, and once all put together it didn’t seem uneven or poorly cast. The headstock also swivels out, which with the outrigger gets you up to 29″ diameters, shallow depth however, but still that’s a cool feature. All in all, this is an amazing lathe, especially for it’s price. I can’t believe I could get a professional lathe at 1,000 with the ability to upgrade the length, diameter, and eventually the motor. As long as you know what to expect when you buy it, and have planned for weight compensation, you won’t be disappointed. 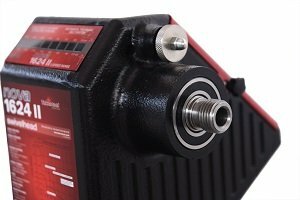 If you really want a DVR motor, then don’t be an idiot like the other two reviewers, and just save up a little more for the DVR model lathe, where it comes standard. If you want to save money, and have no problem with changing the belt for different speeds, then get this one, it’s not that much of a hassle unless you work on the lathe near daily. Then, if you really want the DVR motor, after you’ve had the lathe for a while, then it’s available as an upgrade. Even if you bought the upgrade along with this lathe, it would still cost less that the full DVR model, plus you could sell the standard motor. If you have a problem with that, or if the concept makes your brain hurt, then just stay away from it, but don’t complain about something that isn’t wrong in the first place. I agree with Jerry above. 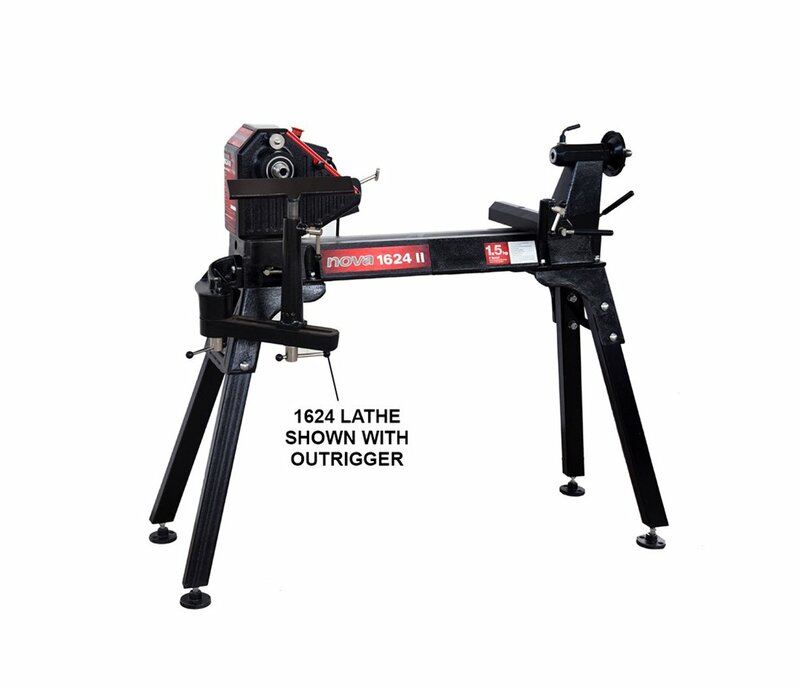 I would love to be able to order this lathe from _________ (fill in the blank) and have it come with the upgrade and not have to deal with an spare motor. Makes little sense to me. It’s a shame you have to buy two motors in order to get the upgrade motor. It’s stuff like that that caused the Boston tea party! This is a great lathe and best in class. Heavy but compact stand. Good power motor. Runs quiet. Just a great lathe! One last thing, the replacement spindle I was sent was very obviously used. There where wear marks from where the bearings had ridden, and gouges and scrapes all over. The threads were also dinged up and had a gouge from where the grub screw on a chuck or face plate had been tightened and drug along when removing the chuck/face plate. Now I have a new lathe, with used parts, that I had to install myself in order to get it working without having to send it back. It does run true now, but between the customer support failure and used parts, I wish I would have went with a different lathe from a more reputable company. Also, don’t even bother filling out an online help ticket, Mine was opened for over a week with no response, until they closed it. No contact, nothing. If you do buy something from NOVA and have a problem with it, don’t even bother with the help ticket, or calling customer service, just call in and ask for a sales representative, it seems like they are the only ones who will actually stand behind their products and get the problems taken care of. I gave it 2 stars because it does run decently for its price, once you finish rebuilding it that is.